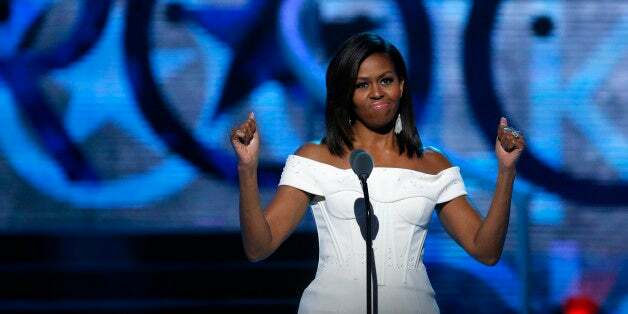 If Michelle Obama isn’t your favorite first lady, I’m definitely judging you. Some even refer to the former Flotus as their “forever first lady,” and do you blame them? Nope, we don’t. Even though she’s no longer in the White House, Obama is still doing her due diligence when it comes to urging people to vote. And as the co-chair of When We All Vote, she’s gathering some of her most famous friends and holding voting rallies across the country. So what if you had the chance to meet Obama? I know when I met her, my eyes welled up with tears and emotions. When We All Vote is giving three lucky people the chance to meet Obama, and all you have to do is tune into her Snapchat at 4:00 p.m. EST to learn how! The two winners and their friend will receive airfare, hotel and tickets to her event and meet Obama in Miami, Fl., on Sept. 28 during the organization’s National Week Of Action. So head over to Obama’s Snapchat and see how you can enter!